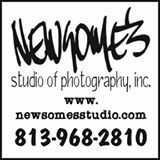 Full-time professional photographers, Kaye and Kevin Newsome, are well known for providing high quality photography for Tampa’s families, children, high school seniors, executives, and corporate events. 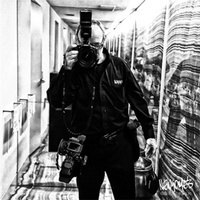 Kevin is a past president of three professional photography organizations, and a PPA Certified, Master Photographer. Kaye has an A.S. degree in photography from the Art Institute of Ft Lauderdale, and also serves as the Executive Director for the Florida Professional Photographers, Inc.
Corporate Event Planners rely on quality documentation of their events that net commercially useful images. Kevin’s knowledge of lighting and ability to know when and how to successfully use or mix available light with quality flash, have earned him the reputation of a master at convention and corporate event coverage. Tampa’s professional executives rely on Newsome’s for quality business portraits, whether in the studio or on location (office or environment). The family and children portrait studies in his studio focus on creating wall portraits that your children’s grandchildren will one day fight over.